There is a Chinese saying for everything. And when it comes to what one should eat before and after birth, the volume of anecdotal advice is paramount. A pregnant woman should only eat foods of balanced properties － Zing Zhi (正氣), avoiding anything too ‘hot’ or ‘cold’. I remember being frowned upon by my mother when I devoured scoops of ice-cream and watermelon slices during the scorching summer during which I was pregnant a few years ago. When my daughter was born however, the frowning became more serious. She would make sure everything that I ate and drank (and how I washed myself) adhered to traditional ‘post-partum confinement’ practices and would not take no for an answer, insisting that I would otherwise suffer when I grow old if I did not “do it well”. As with other parts of the world, eating well during pregnancy is crucial for the woman herself and the growing baby, but for the Chinese, and many other Asian communities, the care taken by the new mother during the post-partum period is vital. This is called Zuo Yuezi (坐月子) in China, which (literally) means ‘sitting the month’. Earliest traces of this tradition were found in historical texts from the Western Han dynasty around 200BC and has been passed down the generations mainly through numerous old wives’ tales, interweaved with elements of Chinese herbal medicine. The custom is observed for approximately a month. During this time the new mother stays indoors (to avoid catching ‘wind’), remains idle with minimal physical exertion, and consumes foods and drinks prepared for her to replenish losses during birth and produce milk to feed the baby. The practice varies regionally. For the Cantonese, this includes having dishes such as pork knuckles with ginger and vinegar (to replace nutrient losses) and fish and papaya soup broth (to produce breastmilk), and drinks like fermented rice tea (to rid of lochia) and red date tea (for general wellness). Mothers who follow Zuo Yuezi to the strictest sense would refrain from washing their hair during the whole period, but this can be challenging to observe. Nowadays, mothers may choose to wash their hair (and body) with heavily infused ginger water, making sure it is dried thoroughly straight afterwards to remove any built-up ‘wind’ causing headaches in old age. In spite of its customary roots, many of the younger generation remain faithful to Zuo Yuezi with a growing number of special ‘Yuezi centres’ (月子中心) providing accommodation and tailored services for new mothers and their babies in mainland China and Taiwan. But what happens to new Chinese mothers who live overseas? Do they follow Zuo Yuezi? If they do, why do they do so and how different is this done without the same access to traditional ingredients and support? These were the questions buzzing in my head when encountering many new Chinese mums in London who informed a pilot study last year to explore their cultural considerations after birth (manuscript forthcoming). In the interviews with my informants who gave birth in the past year and practised Zuo Yuezi to various extents, a lack of Zuo Yuezi information on reliable English websites meant they had to turn to blogs and social media groups. Recalling their post-partum care, some received what they regarded as ‘culturally contradictory’ advice when asked to drink cold tap water and go out for a walk shortly after birth, and suggested that a platform providing fundamental Zuo Yuezi information would be useful. 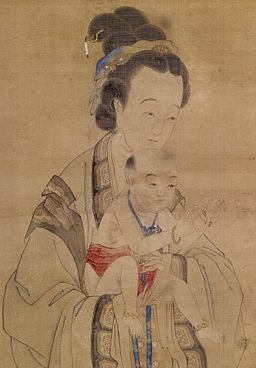 When the invitation to take part in the Wiki-editathlon came through which welcomed early career researchers and students, I was delighted to be able to join the session, learn more about the popular user-generated online encyclopedia, and write an English entry based on Zuo Yuezi’s Chinese page (https://en.wikipedia.org/wiki/Postpartum_confinement), which has since been re-directed under a broader page on post-partum period (https://en.wikipedia.org/wiki/Postpartum_period). It is hoped that the English version would enable information on Zuo Yuezi to be more accessible beyond the Chinese community, and to everyone who would like to learn more about the practice. Georgine is a Public Health Nutritionist and lecturer at St Mary’s University, currently undertaking an MA in the anthropology of food at SOAS. Born and raised in Hong Kong, she now calls London home. This entry was posted in Wikipedia project by fiona sinclair. Bookmark the permalink.